A funny thing happened the other day. I was setting up a new Android smartphone and started downloading the apps I frequently use. To my surprise, the most represented developer on my phone was Microsoft. When did Microsoft take over my Android? This should not surprise anyone. After all, Microsoft has already made great apps for Apple’s Mac and iOS Microsoft Loves Apple – These Mac and iOS Apps Prove it Microsoft Loves Apple – These Mac and iOS Apps Prove it Stuffy, boring, insular. These are three adjectives that have been used to describe the Microsoft of yesteryear. But that Microsoft is gone. They've changed. Radically. Read More , so it’s only natural for the Redmond-based giant to make apps for Android, the world’s largest mobile operating system. The surprising part, I guess, is how good those apps are, often overshadowing those made by other developers or Google itself. If you haven’t already checked these out, do yourself a favor and download these awesome Android apps by Microsoft. Yup, good old Microsoft Office is available on Android, and it’s completely free. As of July 2015, the old Office for Android has been replaced by individual apps for Word, Excel, and Powerpoint, so if you haven’t upgraded already, get the new apps from the download links below. 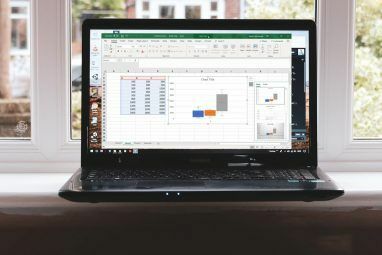 The biggest headache with Google Docs, Kingsoft Office, or any other mobile office suite is how the formatting changes so often when viewing and editing the same file on desktop. The Office apps for Android are the closest at retaining the original formatting. Generally, it’s a clean and pleasing office suite to use. In case the apps are incompatible with your phone, then grab the older Office for Android, which is still a great app! Google Android has amazing alternative keyboards What Is the Best Alternative Keyboard for Android? What Is the Best Alternative Keyboard for Android? We take a look at some of the best keyboards in the Play Store and put them to the test. Read More for all types of users, including features like swipe-to-type, gesture-based typing, auto-emoji suggestions, and much more. But they forgot about one type of user: the professional who needs to crunch numbers on-the-go. Microsoft Excel for Android is fantastic, but Android keyboards aren’t exactly suited for working with spreadsheets. So Microsoft solved that problem with a special keyboard for Excel, optimized to work with numbers, including Excel operators. But the big feature is Tab and Enter keys, letting you quickly shift between cells! This one will bring a sigh of relief to anyone who has been frustrated by selecting tiny cells on a touchscreen. The latest Microsoft app for Android caught me by surprise. I honestly didn’t expect to like Arrow Launcher as much as I do; in fact, it has become my default launcher now! So given the great alternative launchers for Android What Is the Best Free Android Launcher? What Is the Best Free Android Launcher? Nova launcher, Apex launcher, and dodol launcher are all solid free launchers, but which is the best? We put them to the test. Read More , why did I choose this? Arrow Launcher makes Android simpler while enhancing the key feature of a launcher: getting you to your apps quicker. By constantly updating your most frequently used and recent apps, as well as your most frequently used and recent contacts, Microsoft reduces the number of taps to start doing stuff. That’s what it’s all about: Arrow Launcher makes you more productive Microsoft's New Arrow Launcher Makes Android More Productive Microsoft's New Arrow Launcher Makes Android More Productive Microsoft has made an awesome new Android launcher, so we put it to the test. Read More . There are two ways you can get Arrow Launcher right now. Join the Google+ community and get it officially. It’s unclear who they are accepting, but the plus point is that you will get the official app from the Play Store, which means updates are easier. Download the Arrow Launcher APK and then manually install it on your Android phone How to Manually Install or Sideload Apps on Android How to Manually Install or Sideload Apps on Android Want to sideload apps on your Android phone? Installing APKs manually on Android opens up a whole new world of apps, and it's easy to do. Read More . A while ago, Instagram launched Hyperlapse for iPhones Fit More Into 15 Seconds With Instagram's New Hyperlapse Videos Fit More Into 15 Seconds With Instagram's New Hyperlapse Videos We live in an age of short-form content; say what you can in 140 characters, show what you see in 6 to 15 seconds. But there are always cheats and tricks, like Instagram's new app... Read More , which speeds up a video you are shooting while stabilizing the images. The end result is a cool effect that looks like time-lapse photography on speed. Unfortunately, Instagram only released this app for iPhones and not for Android. Don’t worry Googlers, Microsoft has your back! Microsoft’s Hyperlapse Video works on any phone with Android 4.4 Kit Kat or Android 5.0 Lollipop, but we’d also suggest that your phone should have a decent enough processor and at least 1GB of RAM, or the app crashes. With this app, you can shoot or import videos, speed them up (1x to 32x the normal speed), and get rid of shaky images. Of course, you can also share those videos on Instagram later. Our full Microsoft Hyperlapse Mobile review How to Shoot Instagram-style Hyperlapse Videos on Android How to Shoot Instagram-style Hyperlapse Videos on Android Microsoft Hyperlapse Mobile brings hyperlapse video to Android, a technique introduced to the iOS version of the Instagram app in 2014. The app is in beta, but is already capable of producing incredible results. Read More has any other details you might need. While not made in-house at Microsoft, the software giant did buy what we reckon is the best cross-platform calendar Sunrise Calendar Is Now Cross-Platform — But Is It Any Good? Sunrise Calendar Is Now Cross-Platform — But Is It Any Good? Sunrise Calendar, an iOS favorite, recently released new Android and desktop versions, making it a serious contender for the title of best cross-platform calendar. But does it take the crown? Read More : Sunrise. Install it, give it access to your Facebook, Twitter, Google Calendar and other apps, and you’ll have a central calendar that keeps all your appointments and events in one place. Sunrise’s best feature is the sheer number of third-party services it can connect to so that your reminders are centralized. Apart from Google, iCloud, and Microsoft Exchange, it supports Evernote, Asana, Trello, LinkedIn, Google Tasks, and several other apps in which a reminder or a notification is important. In my recent roundup of apps you should install first on your Android Top 10 Android Apps Everyone Should Install First Top 10 Android Apps Everyone Should Install First Got a new Android phone or tablet? Then you absolutely need these apps! Read More , several commenters said OneNote made it to their list of must-have apps. The popular note-taking service is now completely free and cross-platform, so you can access your notes on any other device. 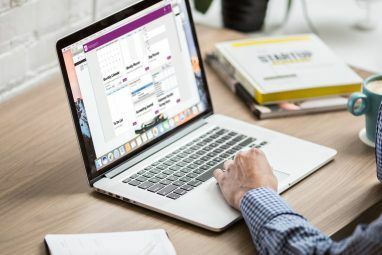 OneNote has several productivity features 10 Unique Ways to Use Microsoft OneNote 10 Unique Ways to Use Microsoft OneNote OneNote is one of Microsoft's most underrated apps. It's available on almost every platform and can do many tricks you wouldn't expect from a note keeping app. Read More , including the ability to convert images and audio into text, scanning and managing receipts, and much more. Its new bouquet of features OneNote Is Now Truly Free With More Features Than Before OneNote Is Now Truly Free With More Features Than Before Evernote no longer rules the roost of note taking apps. Microsoft recently announced OneNote would be more free than ever before. Let us show you what this means in terms of features and functionality. Read More like audio and video search make it a complete note-taking app, able to go toe-to-toe with Evernote and others. If OneNote is too confusing for you but you just want the ability to scan and manage receipts, Office Lens is a good alternative. It is completely free and even uses OCR (optical character recognition) to convert text in images into searchable digital text. That’s a feature that most other such scanners, like Scanbot, charge you a premium for. From photographing a whiteboard at a meeting to digitizing the business cards you collect in a conference, Office Lens is simple and easy to use. Plus, if you have OneDrive installed, it will automatically save all these to the cloud, keeping you from ever losing an important file. Speaking of OneDrive, that’s another app worth having on your Android. Why? Simply because you can get 100GB of online storage for free Free Cloud Storage Upgrades: Grab 100GB of OneDrive & 2GB of Google Drive Free Cloud Storage Upgrades: Grab 100GB of OneDrive & 2GB of Google Drive Cloud storage is getting cheaper by the day, but nothing beats downright free. Some of the top services have come up with a few schemes that will raise your online gigabytes without spending a dime. Read More . And that’s on top of the 15GB you get when you sign up for OneDrive. Throw your documents, your photos and videos, your music, and all your other files in it. Get creative with how you use OneDrive How To Best Use Your 15GB Of Free OneDrive Storage How To Best Use Your 15GB Of Free OneDrive Storage OneDrive gives you a healthy dose of cloud storage for free. Let's take a look at what you can do with that. Read More , it’s all in the cloud anyway. Just make sure you don’t set it to download files automatically when you open them. Not everything Microsoft creates is going to be a hit, but that’s okay. The good news is that most of the apps are free, so you can try them out if you feel like it. For example, take the Next Lock Screen, an alternative lock screen for Android Microsoft Made An Android App: Meet Your Next Lock Screen Microsoft Made An Android App: Meet Your Next Lock Screen Microsoft has released a lockscreen replacement app for Android. Is it any good? Read More . It’s a decent app, as is its predecessor, Picturesque Lock Screen. While we reckon there are other nifty and free lockscreen apps for Android 3 Best Free Lockscreen Replacement Apps For Android 3 Best Free Lockscreen Replacement Apps For Android Calling all Android tinkerers! Are you tired of looking at the same, boring screen every time you wake up your phone from sleep? Why not customize it and breathe new life into your phone? Read More , Microsoft’s two free apps are pretty nice too. Is Microsoft Making a “Productive Android”? It seems like Microsoft wants to make apps that form a core part of getting things done on your Android. Apart from a productivity focus with Office and the new Arrow Launcher, the company recently bought Wunderlist, one of our favorite to-do list apps 8 Best Apps for Managing To-Do Lists on Android 8 Best Apps for Managing To-Do Lists on Android Don't try to juggle dozens of tasks in your head. These awesome Android task management apps help you efficiently keep track of your to-do list. Read More . Do you think Microsoft can come up with a whole application suite to make Android more productive? Which apps would you want to see next from the Redmond giant? Let us know in the comments! Explore more about: Microsoft, Microsoft Office 365, Microsoft OneDrive, Microsoft OneNote, Microsoft Word. If Microsoft crap is forced on me when I buy a new Android phone -- I'll buy a used one. Or go back to a flip phone. Conspiracy? Mr. Caldwell is much closer than you think, Mr. Patkar. I spent the entire day doing factory resets on bran new equipment. An s5, s6 and HP notebook. I've come insanely close to sawing all these items in half, and mailing half to Microsoft and the other half to Google. 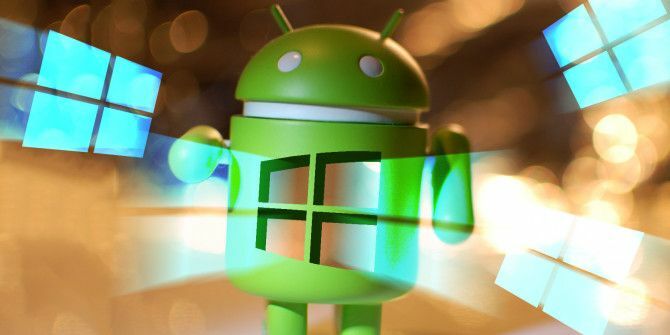 Have you found anything that suggests Microsoft is behind Android security issues? If yes, that would be huge. If not, it's a conspiracy theory. Microsoft Office for Android is a lame piece of software if you ask me. Exce, Word and PowerPoint can only open, but not save the older formats XLS, DOC and PPT. Password-protected files can only be opened, but not edited. 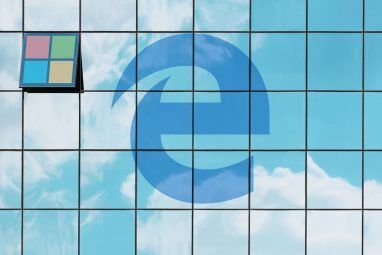 If you want to print your documents, you must connect to a Microsoft server first. The range of features contains only the absolute minimum. Try out TextMaker HD (word processing), PlanMaker HD (spreadsheet) and Presentations (presentation app) for comparison (the apps are available free of charge on Amazon Underground, or free trial versions are available on Play Store). These apps include the full scope of features of the Windows version, means they let you work on the go on your tablet to the same extent as would be the case on your notebook or desktop. These apps open and save all kind of Microsoft Office files faithfully, and connect you not only to OneDrive, but directly from within the apps to Amazon Cloud, Evernote, Dropbox and google Drive alike. If neede, you get free technical support from SoftMaker. Compared to these apps, the Microsoft Office apps seam ridiculous to me. Someone in Microsoft’s Opposition Welcome Wagon department needs to put their personal angst aside, move on from the Scroogled campaign, and help the end user do what they need to do. :) Google does not have a single app in the windows store apart from google search while Microsoft has a ton of them in the play store but you still feel Microsoft is holding back with their support for Android. I would rethink that train of thought. Umm I don't think I said MS is holding back support for Android. Where'd you get that? He quoted that from the reply I had made immediately before his, Mihir. Oh my bad, I see your conversation now. Thanks Kelsey! Well, Microsoft has always been a software giant. Microsoft has always wanted to have their greasy fingers in every pie on the market. Microsoft has always made me want to talk about Microsoft. Could MS be the reason for so many recent security issues on Android? Haha that's one hell of a conspiracy theory. Naah Roger, I don't think there's any truth to that. My biggest knock against the Microsoft Applications is that they specifically don't talk to Google tools. You can't save a document created in Word to Google Drive, for example. This is particularly odd since the application specifically DOES support integration with Dropbox. Similarly, a lot of the Microsoft applications are missing Share button functionality that's internal to Android in and of itself and costs nothing but an API call to implement. The end result is a set of Android software that feels like direct and deliberately limited ports of iOS software. I'd say the collection is in total rather unimpressive. I agree on all points here. While many people may not use Google Drive, or have converted to OneDrive, there is a very large group of us who have the bulk of their online data there. To not have an easy, direct link to Google Drive is deliberate sabotage because it's been done very simply by far smaller developers than Microsoft. Someone in Microsoft's Opposition Welcome Wagon department needs to put their personal angst aside, move on from the Scroogled campaign, and help the end user do what they need to do. It's the same thing with the share function. I've use big apps, small apps, short apps, tall apps from all manner of developers, and if some kid in Bangladesh can get their app to share within Android, I'm pretty sure Microsoft has the brainpower to do so too. Of course, how can you share when you don't WANT to share? Your train of thought is relevant for someone coming from the Microsoft direction, but not for me, someone coming from the Google direction. In my world I presently have no reason to mess around with Microsoft apps. I've tried integrating them into my workflow, and for my reasons stated that train isn't leaving the station. Besides, who knows why Google apps may not be allowed in the Windows store? Back to the angst. My point is that what Windows apps are in the Google store should do what other Google apps do...share. "My biggest knock against the Microsoft Applications is that they specifically don’t talk to Google tools." -- This is a fantastic point. I do believe this will change in the future though.